Since their foundation Liverpool Football Club have called several different grounds home and had a long relationship with Liverpool Cricket Club, which is thought to be one of the oldest amateur sports club on Merseyside. For many years, from 1857 to 1879, almost all of the home games were played at Liverpool Cricket Club, Edge Hill. The cricket club was sited close to the current Edge Hill station, near to Spofforth Road. Club archives record that at least one of Liverpool’s games (v Manchester in 1865) was played at Princes Park. For two seasons from 1879/80 games were played at the Brook House Hotel on Smithdown Road, with players changing in the hotel. It should be noted that this Brook House Hotel is not the same as the Brook House public house that is currently on Smithdown Road. The hotel was situated slightly closer to Liverpool City Centre, near to Lidderdale Road. The next location was a ground near Stanley Station. However, matches were only played here for one season, 1881/82, as the conditions were so poor. Important matches were played at Birkenhead Park. Stanley Station was located on Prescot Road, with Newsham Park to the west. The station was closed in 1948, after over 80 years of service to the London & North Western Railway Line, connecting Canada Dock to Edge Hill. At the end of the 1882 season Liverpool rented the two pitches behind the Aigburth Hotel. This was home to the team for the following two seasons. It is not known if the players changed in this hotel on Aigburth Road or used facilities elsewhere. From 1884 the club came to an arrangement with Liverpool Cricket Club and used their ground at Riversdale Road, Aigburth until the end of the 1893/94 season. The first team pitch was on the pavilion side and there were concerns that the cricket ground was being damaged. For the 1894/95 season Liverpool returned to the Aigburth Hotel, across Aigburth Road and rented two pitches for £10 for the duration of the season. The following season, 1895/86, the cricket club gave permission for the rugby first team to use their pitch again, subject to weekly approval by the cricket secretary. This arrangement continued until the close of the 1898/99 season. 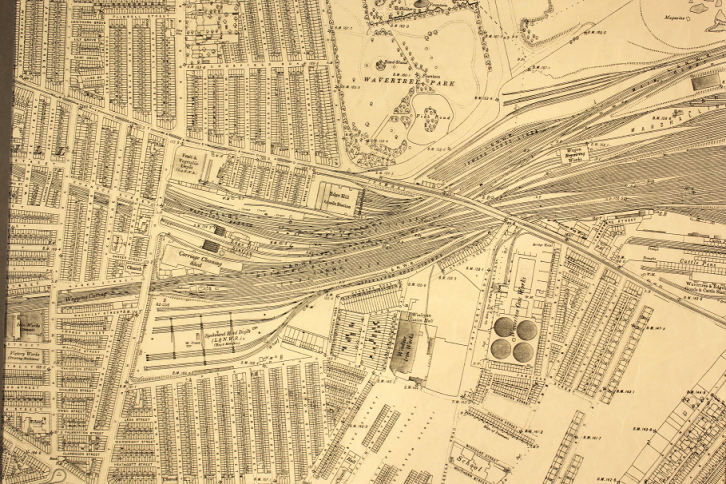 When the Cricket Club moved to the other side of the railway line, Liverpool also moved to this new ground and from 1899/1900 rugby was played there until 1963. The first team would change in the cricket pavilion then walk down Riversdale Road and across the railway bridge to the pitch. Junior teams would play on other sites in the local area. For the 1963/64 season Liverpool finally secured their own home ground and club house in St Michael’s-in-the-hamlet, Aigburth. The club remained there until the 1986 merger with St Helens and the move to Moss Lane, St Helens.